IPPNW’s co-presidents have sent the following letter to the presidents of the US and Russia, to mark the successful ratification of the New Strategic Arms Reduction Treaty (START), under which each country will limit the number of deployed strategic nuclear weapons to 1,550, with additional reductions in deployed and non-deployed launchers to 800 in each country. The treaty was ratified by the Russian State Duma on January 25, 2011 , by the Federation Council of Russia on January 26, and by the US Senate on December 22, 2010. The New START will enter into force in February, when Russian Foreign Minister Sergei Lavrov and US Secretary of State Hillary Clinton exchange ratification papers. 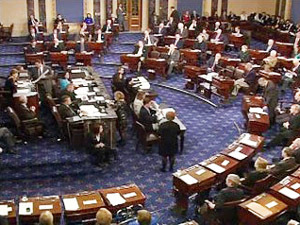 The US Senate ratified New START on December 22, 2010. Russia completed the process one month later.